This guide assumes you are using Microsoft Windows and intend to mine using MPBM or CGminer. Each CM1 needs a 12v DC power supply capable of delivering 60w (5A). For testing purposes use a 6 pin PCIe or 4 pin Molex connector from your PC power supply, or a good quality external PSU with a 2.5mm center positive power connector. Extract all the files in cm_ftdi_drivers.zip, CAIRNSMORE1_CONTROLLER_SHARING_V1_5.zip and CairnsmoreProgramming.zip to any folder e.g. create a 'cm1' folder in your user directory. Save this file in the same folder as the extracted files above. Extract the files in dcmwd4e-20120822.7z onto a USB pen drive for later use with the VirtualBox tools. Leave the USB pen drive connected. Extract the contents of windows-runtime-v0.1.0beta.zip to any folder e.g. create an 'mpbm' folder in your user directory. Download the latest MPBM as a ZIP archive from MPBM GitHub by clicking on the [ZIP https://github.com/TheSeven/Modular-Python-Bitcoin-Miner/zipball/testing] icon. Extract the files into the 'mpbm' directory so that 'readme.txt' and the associated folders are in the same directory as 'mpbm.exe'. Please read the MPBM topic on bitcointalk.org for updates to the linked files and for additional guidance. 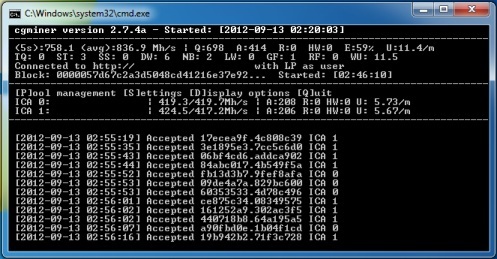 Extract the files into a 'cgminer' folder in your user directory. Please read the CGMiner topic on bitcointalk.org for additional guidance. Start the VirtualBox installer and accept the default settings. 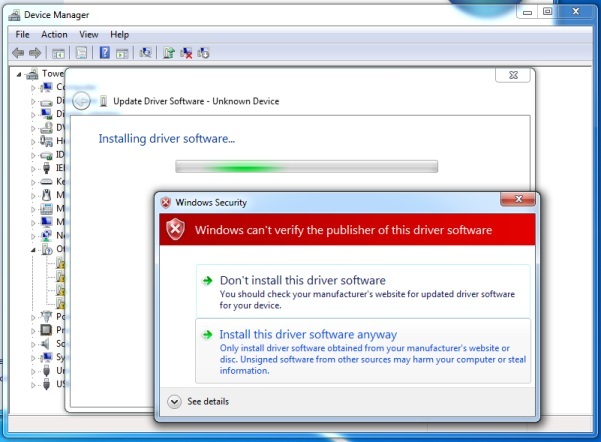 During the installation you will be prompted to install uncertified drivers - select 'Continue Anyway' to each prompt. Once installation is complete, open VirtualBox and select 'File' -> 'Import Appliance'. Browse to the 'cm1' folder and select 'cairnsmore.ova'. Accept the default options and once complete, start the virtual machine by clicking the 'Start' icon. Once the VM has started, login with username 'root' and password 'password'. If you have enough ports, connect the CM1 to a USB port on the motherboard (not a port on a header plate). Alternatively, use a high quality powered USB hub. 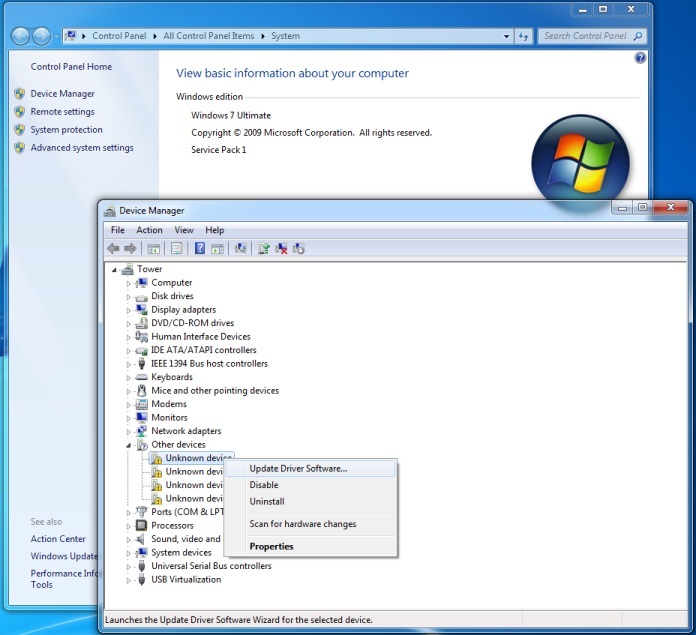 Windows will detect the presence of a new device and attempt to locate a driver file. This may take some time but will fail. Once complete with no reported errors, disconnect the USB cable and then the PSU. If errors occur DO NOT POWER DOWN - re-run the command. Please read 'Cairnsmore1_Controller_Upgrade_Procedure.pdf' from 'CAIRNSMORE1_CONTROLLER_SHARING_V1_5.zip' for more detailed information. Connect the PSU. Wait 2 minutes and then reconnect the USB cable. 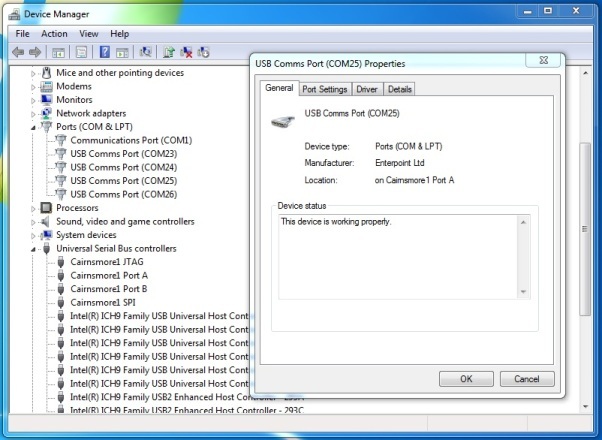 In the VM window, select 'Devices' -> 'USB Devices' and enable 'FTDI Cairnsmore1 ' and the device for your USB drive. Depending on how your USB drive is formatted you will need to use a variation of the following command to 'mount' the filesystem. The 'shortfin_dcmwd4e' files should be listed. No errors should have been reported. Now run the following commands, checking for a successful verify before proceeding to the next. If all four commands are successful, disconnect and power down the CM1. Please read 'VirtualBox Installation Windows.pdf' from 'CairnsmoreProgramming.zip' for more detailed information. If VirtualBox is still running, it will connect to the CM1 - In the VM window, select 'Devices' -> 'USB Devices' and disable 'FTDI Cairnsmore1 ' or shut it down before reconnecting the USB cable. The first time, it will prompt you for pool information. Once you are happy with it working, go to the (S)ettings menu, and (W)rite the config file. If you use the default path (you might need to create it first), it will automatically load the config the next time. Start mpbm.exe. A terminal window will open displaying log information. Minimize the window. You will be prompted to enter authentication - enter username: 'admin', password: 'mpbm'. You should change these default values. Then click 'Workers' and create two new workers of type 'theseven.icarus' and configure the COM ports correctly for CM1 port A & B, saving each setting. If you have multiple CM1 boards, you may find it helpful to enter the serial number and port of each board in the name field. Select 'file type *. * and the save the file as 'start.bat' within the 'cgminer' directory. Double-click the 'start.bat' file to start mining. After the mining program has been running for at least 10 minutes, check the invalid shares count. 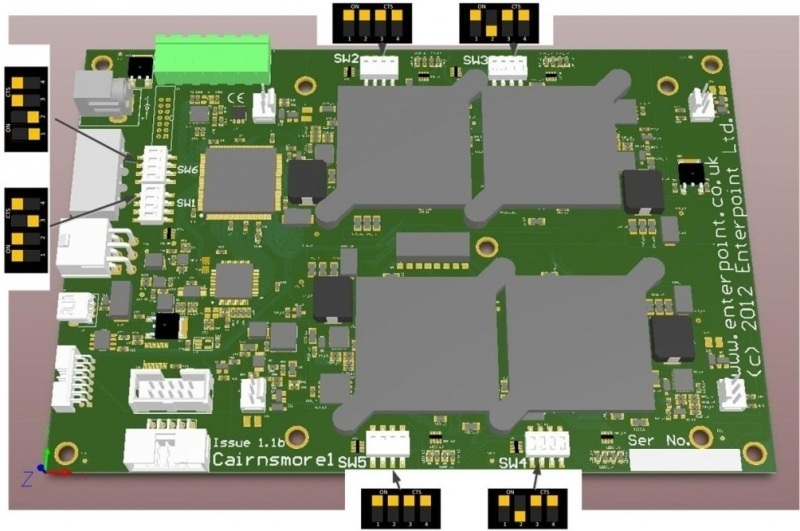 If they are above 10% of the accepted shares, the bitstream is unsuitable for your CM1 board (this is more common in boards made early on in the development cycle). The '-p' argument specifies which FPGA the command erases or programs - only issue the commands for the FPGA's you wish to change. Repeat these steps until the invalid count is below 10%, and then check on performance again after 24hrs. If the board stops hashing, try a slower bitstream. Mining can be interrupted if another USB device is inserted or removed from the PC. additionally, remove any non-essential USB devices as their traffic may interfere. Running multiple CM1 boards on a single PC requires a good quality powered USB hub and good quality USB cables that aren't too long. The Cairnsmore CM1 discussion thread on bitcointalk.org contains detailed discussions on problems and solutions and if you can't find the answer, ask! This page was last edited on 16 September 2012, at 08:14.